Welcome to WordPress. This is your new process journal platform. Hopefully, you will find it easier to use than the discussion forums on Canvas. To begin, you will need to log in on the left. Once logged in, you can add a new entry by clicking the ‘New Entry’ link in the left menu bar. Be sure to hit the ‘Save & Return’ button at the bottom of the screen to save your changes or ‘Publish’ if this is new entry. speak with one visual voice. – to draw attention make it different from everything else surrounding it. If I am going to work on a brand I should be consistent with the colors, typography and forms. use typefaces maximum. – when working with typefaces I won’t combine two similar fonts. I will use fewer fonts as well. I would use the same font but different style. Pick colors on purpose – I will choose colors that make sense. Certain colors bring out certain emotions. There are colors that look better next to each other. negative space is magical- when you add negative space it gives the object in the design more importance. The focus is on the main object. Be decisive – If you are indecisive your project will always be changing, and you are never going to finish the design. I have to make clear decisions about things like size and color. look to history but don’t repeat it – I think this is something that stuck out to me because we like certain art and we try to copy it. This is never good to do. You should be inspired by the art but never copy exactly the design of someone else’s. Symmetry is the ultimate evil – When creating art, it does not matter if your symmetry is equal. When designs are symmetrical it seems repetitive and does not give the design a new perspective. be universal; it’s not about you – It is important to realize that the art is not about you. Don’t just make things you like. Do what others would like and enjoy. When creating art people should do all kinds of things. You have to create foe everyone else. Ignore fashion – This can be hard because people want to jump on the latest or popular thing. Try to be steer away from the latest design trends just to relate to an audience. It shows you are not being original. The work will stand out more and people will notice it. Trends come and go and people will not be interested as much in it I think it is important to be a trendsetter and not do what it is the current market. Squish and separate – When doing this it makes the design livelier and not dull. A designer should be giving art more life. Even if it means moving things around and squishing and separating them. It gets the audience’s attention that the design has density. 1)organizational strategies: structure & intuition: By figuring out what goes where, in what order, and how it should be arranged from a compositional standpoint demands a lot from a designer. A designer might have to reorder it when it is necessary to improve its clarity or enhance its conceptual concepts. 2. structure: the gird system: All the pieces have to come together to communicate. The grids in the image can be organic or loose. A grid helps show a systematic order and helps the user navigate and distinguish items. 3) exploring other options: nonstructural design approaches: It has become the status quo when designing. There are other options of ways to organize images and information. Sometimes there does not need to be structure. 4) grid deconstruction: It is about splitting apart grids and structures. A designer can do this by making putting words and images vertically or horizontally. Even overlapping and putting things in different proportions. It would be put in places where it does not usually go. 5) conceptual or pictorial allusion: This is an interesting way of imposing a visual idea into a page format. It can be an illusory representation of a certain subject or a concept. The word and images that are floating are an example. 6) visual relationship between words and pictures: There are usually two categories when it comes the relationships. The first category is when there is nothing in common with the images. The second category is when the typography has been integrated with the image that it becomes obscured. It is good to know where the objects will go depending on the lights and darks in the image. 7) positioning strategies: This is where you have to consider where to position an image and its words. Words are usually placed in a rectangle are part of the image. Its relationship depends on its positioning and elements. It can be placed on, in, or next to a cropped image. 8)integrating silhouettes: They share a visual and opposing relationship with their alignments. The designer should position the silhouetted images with respect to the grid. It should look like it flows smoothly. 9) finding flexibility: There are two variables when it comes to fundamental variables. The first one includes the way the design is presented like its colors and form. The second variable is the frequency of different page components within the palette. 10) pacing & sequencing: This is where the reader will capture what part goes where and what it means. This would be like figuring out the subpage from the homepage within a website. Another example would be a magazine or brochure. Organization is an important element when it comes to structuring the design. Designs are not for just putting images or text on a page, it has to tell something to the people who are going to see your work. A change in typeface signifies change in meaning, and if you are trying to send a message having multiple typefaces can divert from the meaning you intend to get across. If you show your viewer multiple things at once, they could easily become distracted, so space your design out. Color has its own emotions to them so pick colors to give your audience the emotion you want them to feel. Negative space is used to direct your viewer’s eyes to what you deme important to the design, negative space is a handful tool to make your audience pay attention. Type is just as important as the images of a design, type can also be used to create images to immerse your viewer into your design. You want to make your design something that many people worldwide would enjoy, not what you alone would enjoy, because then you are just going to get a few people who like your design instead of many. Sometimes going by the rulers won’t make the image symmetrical and you will have to use your eye to be able to determine the proper placement. You can look to a design in the past to help give you good ideas to design a certain way, but don’t make it exact, because that design has been done before and people wouldn’t take an interest. Symmetry offers little movement for your design and it limits you to what you can do. 1. The size and shape of space in a picture changes how we perceive form. By changing the size of a format, I can learn to change the apparent size of elements in my design processes. 2. The form of a picture is considered a positive element while the space of the picture is considered negative. By learning the relationships between positive form and negative space, I can convey the appropriate message desired from my designs. 3. The temperature is the subjective quality of colors (ex: red and orange being warm colors). Learning the temperatures of colors can give my images deeper meaning. 4. How different hues interact with each other is called hue relationships. My images can gain a deeper feeling of unity through hue relationships. 5. It can be difficult to select a typeface based on its feeling or mood. Choosing a typeface often boils down to the designer’s gut reaction or the shapes inherent to that style. By learning the mood that corresponds to each typeface, I can control how the viewer will react. 6. Combining typefaces is conventionally used in the work space. The dispenser must choose typefaces with a clear notion of hierarchy. By establishing hierarchy, I can combine typefaces without losing each typefaces meaning. 7. How the medium of an illustration or photo communicates a message to the viewer. 8. How the type of image can change the perceptual filter the viewer associated with the image. 9. Conceptual/Pictorial Allusion: This method of creating compositions stems from deriving a visual idea from the content that is imposed on that page as a kind of arbitrary structure. By using this method, I can give my images an artistic edge. 10. Formal Congruence: The similarities between type elements and pictorial elements. I can use this to complement various visual and textual elements in my works. Even if there are no images in place, creating a grid that provides an idea of where images will go allows for more efficiency and can result in a better design. 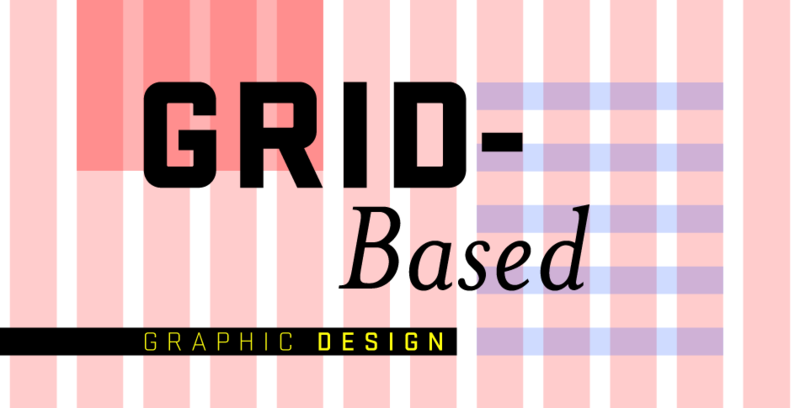 The grid is a helpful tool to create a platform for the layout but a dull design will be created if you stick to the confinements of the grid. I need to understand that when I integrate text with a square image that where I place the text communicates different messages.